we believe we have the best business model in the industry. No previous automotive experience is necessary to become an Express Oil Change & Tire Engineers franchisee. Franchisees are provided a comprehensive 8 week training program that will prepare them to operate the business. Franchisees will not be trained to become mechanics, they will hire and manage mechanics with our help. Express Oil Change and Tire Engineers is a full service franchisor, as we provide extensive training, support and coaching for our franchisees, including choice of store location, counseling through the land purchase or lease process, assistance with financing opportunities, store design services, construction support, help in hiring the store crew, full training of the store crew, marketing tools, training and active support, along with substantial store operations support as the store opens and throughout its life. Our signature 10 Minute Oil Change and 22 point safety check is performed professionally while the customer relaxes in her car. Mothers find this business feature particularly convenient for their busy lives. Our broad service offering that goes beyond quick oil change, includes tire sales and service, brakes, air conditioning, tune ups, and full mechanical repair. Our full range of vehicle maintenance capability is unique in the industry, and allows us to serve customers more conveniently than most of our competitors. The average age of cars and light trucks on American roads is now 11.4 years. People are keeping their cars longer for economic reasons, and vehicles are built better giving them a longer life, which leads to more repairs to keep them on the road. Our full service repair and maintenance ability makes us a convenient resource to make those repairs, where other quick oil change competitors cannot. We have a unique human resource strategy employing only full time staff, with the crew sharing in the weekly success of the business, which creates a more experienced, well trained and motivated work force that delivers a better retail experience, customer retention and higher sales. Our standard store hours of operation enable the full time employee strategy, and provide franchisees and store operation staffing to enjoy a positive Work / Life balance, as the stores are open Monday through Friday from 8am to 6pm, Saturday from 8am to 5pm, and closed on Sundays. We provide a proprietary, state-of-the-art POS customer tracking database system, with user friendly back office reporting at the touch of a button. The Franchise Research Institute has rated Express Oil Change & Service Centers as a "World Class Franchise" for 8 consecutive years and running. Express Oil Change and Service Centers has been in business since 1979, with over 220 stores operating from Florida, the Carolinas and Virginia to Oklahoma, Texas and Arizona. We look for general business acumen, strong communication and people skills for motivating your staff and working with customers, a high level of energy, a positive attitude, a drive to succeed at your own business, and future goal orientation. 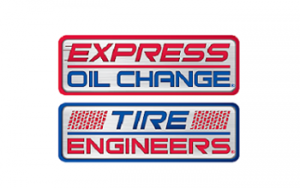 For more information on becoming an EXPRESS OIL CHANGE & TIRE ENGINEERS® franchisee, please fill out the form and submit it. It is not necessary for a new EXPRESS OIL CHANGE & TIRE ENGINEERS® franchisee to know anything about cars or automotive repair prior to becoming a franchisee. Our comprehensive training program will provide all the training necessary for the franchisee to operate all facets of the business. A franchise operator must attend and complete an 8-10 week training process. The process will include both classroom and field training. In addition to pre-opening training and grand opening support, a certified trainer will spend time at your location during the first year and as needed.